I love having visitors in my home. I always try and make them feel as welcome as possible, and I find that supplying guests with good food and drink always makes them want to come back for more. If you were to come to my home I'd have a batch of these chocolate chip cookies ready and waiting for you. Unfortunately, since this is online and not my real home, I can do the second best thing and give you the recipe. 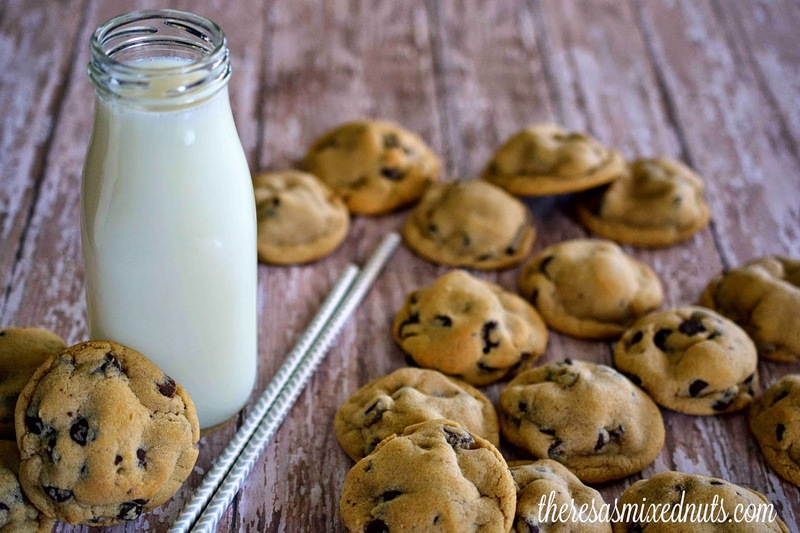 Hands down, these are the best soft batch chocolate chip cookies I have ever had and get compliments and requests for them at every gathering or holiday function. Enjoy! Bake on ungreased cookie sheet for 8-10 min. Note: I take them out of the oven before they start to turn dark! (I usually pull them out right at 9 minutes. They don't look done, but they will finish baking on the cookie sheet once it's removed from the oven.) Do not double this recipe, or they will not bake soft. You can also make this recipe for bars too. Spread dough into greased 9x13 inch pan. Bake them at 375 degrees F (190 degrees C) for 15-20 minutes. These look yummy! Thanks for sharing this recipe! Following you back from the hop on GFC and on Twitter. Thanks so much for stopping by! Those look yummy and thanks for the warning about not doubling, that is an important note!